Time aboard a yacht is an invitation to relish the ocean in absolute luxury. With smart marine technology, control of the automated features is easily manageable. 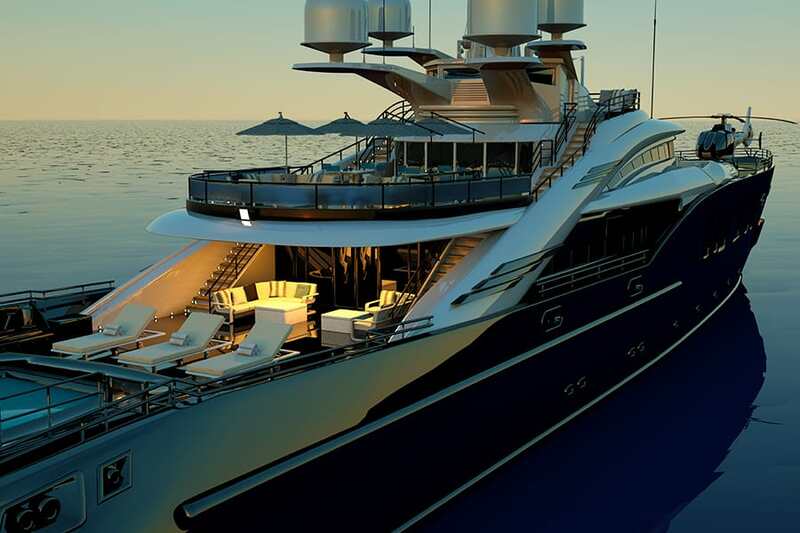 Each individual space of the marine craft can be fully integrated with the latest in smart control systems. 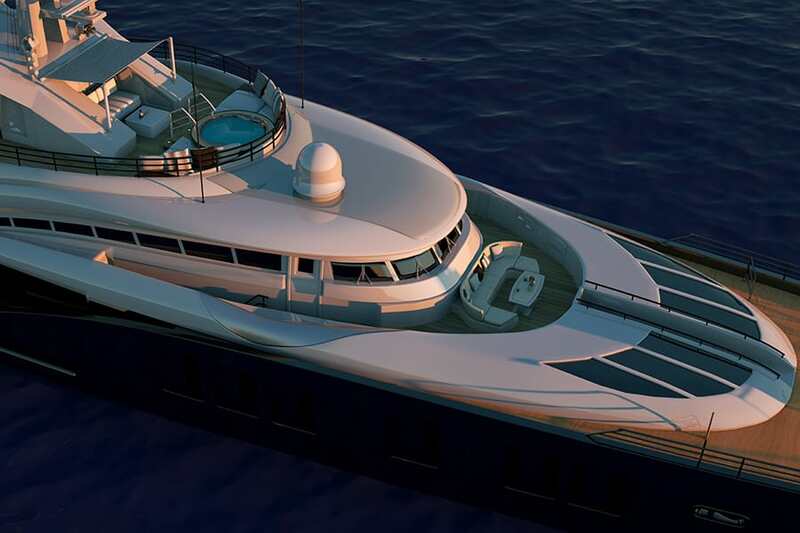 Audio acoustics, security access, cabin and deck lighting, entertainment, and more…tailored to the most finite of specifications, for an exquisitely unique vessel. What are the possibilities of a touch control ship? A comprehensive automated system seamlessly regulates who comes aboard the yacht, stays above deck, and enters the exclusive areas inside the vessel. A central control panel alleviates any concerns over having to break from relaxing with guests, to open access points of the yacht. Simply tap the keypad, and any passage onboard will disarm and open. Smart integration keeps security tight and passengers safe. Whether topside or inside, premium quality speakers and woofers are housed solidly, out of sight. Audio clarity is uncompromised and music selections are accessed easily with the tap of the control device. Playlists are easily adjusted, in real time, for each area of the vessel. Upbeat Independent rock on the deck, ambient mood for the dining room, quirky electronica for the glass-walled lift…all customized for each unique space. An onboard theater room is a perfect place to relax during the hottest hours of the day. A single control panel accesses the audiovisual technology. With a single tap, an HDTV appears from inside a cabinet. With ease, the doors slide open, and the screen emerges. With another tap, the Kaleidescape media system brings up abundant viewing choices. Tap the access pad again, and change the lighting scene in the theater room, to a perfect cinematic glow. Weather resistant outdoor TV’s emerge from below the ship deck to entertain sunbathers on the topside. Razor-sharp glass and brilliant audio engineering deliver incredible picture and sound quality. Entertainment features are customizable for every area of the yacht. Energy efficient climate control for your yacht allows adjustments to the temperature in the interior areas of the vessel just minutes before arriving. The smart thermostat learns from your behavior and adapts to seasonal and daily temperature fluctuations. Smart controls maintain the perfect temperature at all times no matter the time of day, from full sunlight intensity to the cool ocean breeze of the evening. As night falls, smart controls easily change the scene on deck. A smart lighting system creates scenes of color that come from recessed points in the structure of the deck. With one tap, the pool turns blue. With another, exterior lights start to illuminate, taking over for the setting sun. Another scene influences the artistry of the chef working in the galley. Each cabin can have its own set of scenes, for soft white in the morning, and candlelight hue at night. 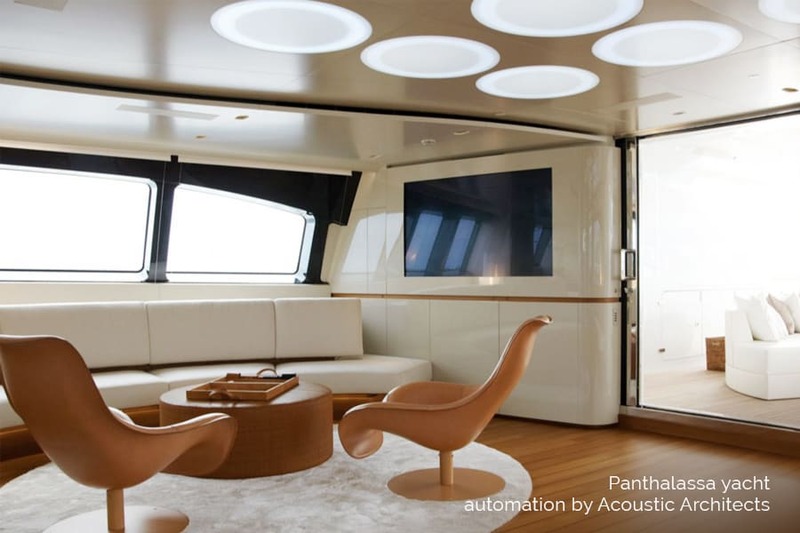 Yacht Automation Systems deliver seamless ease and elegant comfort. With more power and flawless satellite integration, smart technology exponentially elevates the yachting experience. An ocean of luxury is only a tap away. If you would like to learn more about smart technology for your Marine craft, feel free to connect with us. We will be happy to schedule a demo with you.